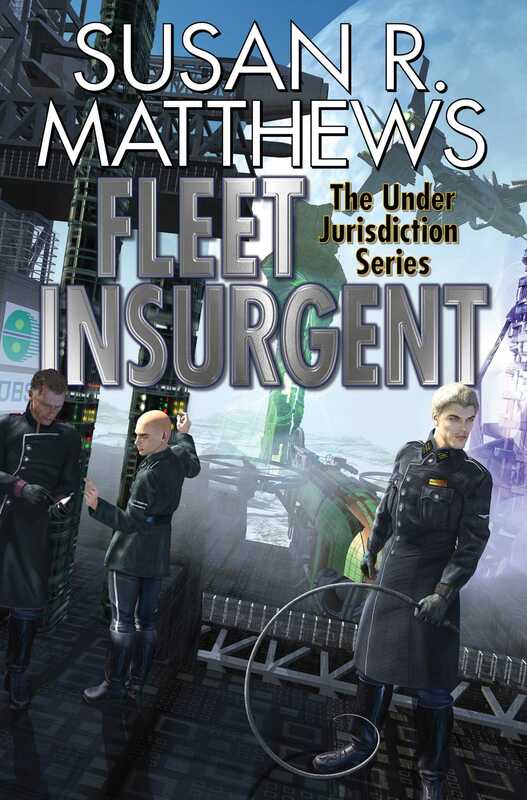 NOVELLAS, SHORT STORIES, AND MORE IN THE CRITICALLY ACCLAIMED UNDER JURISTICTION SERIES from John W. Campbell Award finalist Susan R. Matthews. Together for the first time, here are the novellas, novelettes, and short stories that complete Matthews' epic science fiction series. Plus, supplemental materials that flesh out Matthews' characters and detailed worldbuilding. Collected for the first time, here is the complete Under Jurisdiction body of work falling outside of Matthews' celebrated novels: long out-of-print short stories fleshing out details of the personal histories of favorite characters, including Joslire Curran and Security Chief Stildyne; substantial novellas—two published here for the first time ever—covering critical events in the life of the series, such as the devil’s bargain between Andrej Koscuisko and Captain Lowden on the Ragnarok; and many more novelettes, stories, and vignettes from The Life and Hard Times of “Uncle” Andrej Koscuisko, who is Not a Nice Man. "Starting with An Exchange of Hostages, I devoured Susan R. Matthews 'Koscuisko' novels—all six of them—when they first appeared. Books with this much courage, clarity, and empathy are rare. The Under Jurisdiction series is a remarkable and unprecedented accomplishment.”—Stephen R. Donaldson, New York Times best-selling author of the Thomas Covenant series.